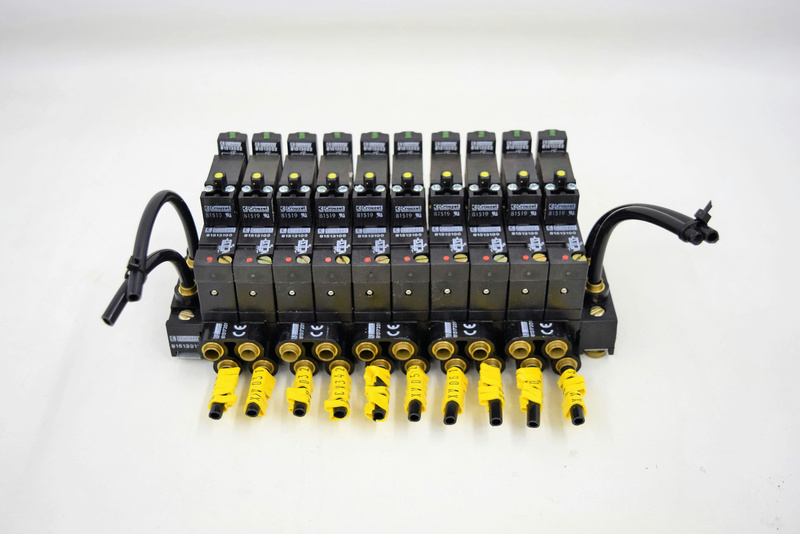 Crouzet Pneumatic Control Valves Manifold Double Sub Base Ports w/ Indicators . New Life Scientific, Inc.
Modular solenoid valves and accessories that have been designed for manifold assembly, and DIN rail mounting. The valves act as a functional interface between electrical/electronic control systems and pneumatic drives. Ideal for use with programmable controllers.